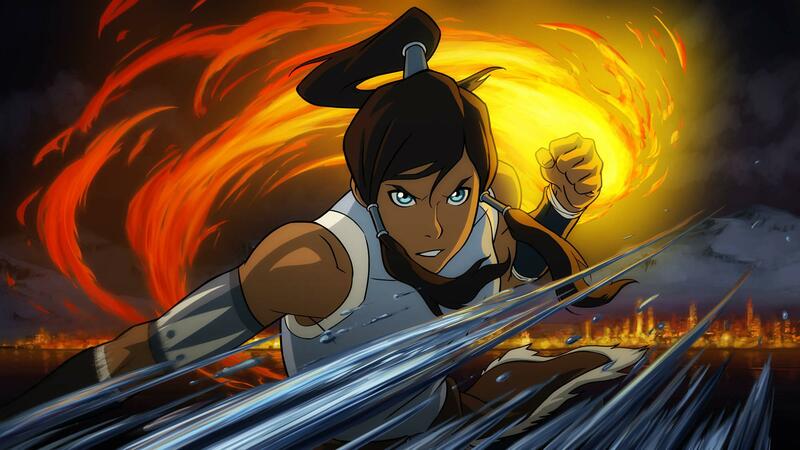 8 Reasons as to why this season of the Legend Of Korra was the best one yet. First and foremost, we want to mention that this article should be read after watching the most recent season (3rd season). This article contains major spoilers and we at BentoByte are not interested in ruining anything for anyone. That being said, check out the list below and let us know what you think! Let’s be honest here, Amon was a crazy interesting villain with the insane ability to block people’s chi and thus their bending. Now he was pretty terrifying, however, having Zaheer and the rest of the Red Lotus took the cake. Zaheer being an evil air-bender, Ghazan the strong lava-bender, Ming-Hua the armless water-bender, and P’Li (sparky sparky boom lady) the combustion bender all added terrifying elements as villains. Each of them were mortifyingly frightening in appearance, and since each of them were such strong benders I considered them the most formidable of foes. Now we all know that the Legend of Korra took death a bit further than the Last Airbender. Sure in the Last Airbender there was Combustion Man and Jet (that one is up for debate, but according to Wikipedia he did). And in the first two seasons of Korra, there was Amon, Tarrlok, and Chief Unalaq. But that was over the course of two seasons. In this season though, with the death of three of the villains and the Earth Queen the show became more lenient and forward with death. With the Earth Queens death it proved that Zaheer and the Red Lotus were the most dangerous of all the villains. It was also appreciated that the deaths were in no way shape or form glamourous. The head explosion and the strangulation specifically come to mind. It wasn’t sugarcoated, and because of that much appreciated and a great direction for the show. Bolin always seems to get the shaft when it came to the women in the show. Between the ditsy mover costar Ginger and the crazy and emotionally detached Eska, it was nice to see him with someone a bit more normal. Opal being a no nonsense level headed character made her the best person that he could have been paired up with. Plus everyone loves Bolin (I mean he is Korra’s version of Sokka), and it is nice to see him win at something. Everyone was really surprised when Zaheer was able to fly at the end, compound that with the extreme waterbending, and lavabending was just icing on the cake. The ability of flight was an astonishing twist at the season finale. And its brief use was well worth the wait. 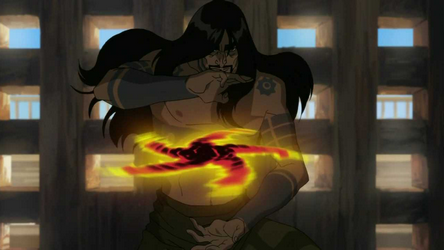 Not only a beautiful ability, it made Zaheer that much more dangerous and capable of causing massive damage. Ghazan’s strong ability to take earth bending and mold it into lavabending, put him in a league of his own. An ability thought only to be harnessed by the Avatar it goes to show how strong he really is (plus he took out a section of the Ba Sing Se wall by himself). It was very cool to see the elements utilized in such different ways, and can’t wait to see what they do in the next season. Jenora already had proved her worth in the last season with her ability to enter the spirit world. But becoming a master airbender and receiving her tattoos was a blatant transition into her being a strong character. Her idea of breaking traditional airbender mold and leading the airbenders to bring down Zaheer was smart and further showed the world what she was made of. 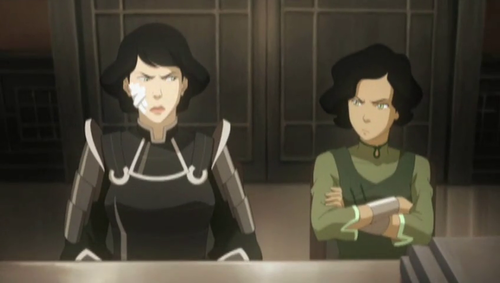 The viewers were finally treated to the reason as to why Lin Beifong was so short and curt with people. It answered a bunch of unanswered questions we had about her past. Don’t get me wrong; being a hopeless romantic, I love romance in shows. But it was still nice to have a step away from the typical theme of Mako having conflicted thoughts over Korra and Asami. Bolin did have a romance in this season; however, it didn’t take long to be established and wasn’t drawn out over several episodes. The creators obviously realized that the show appeals to a larger and older audience than originally forecasted. And it shows with how they have shaped and changed the direction of the show. It had graphic deaths, suicides, and government overthrows. This was by the best part of the show. 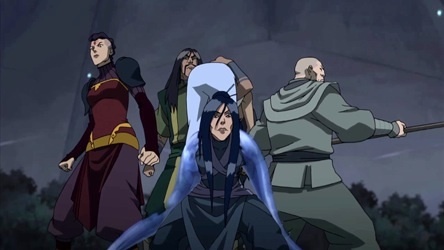 The Red Lotus working towards causing pure anarchy was an excellent touch. Another nice thing they did for us older folks was the decision to do the digital release of the show. It is now easier to access everything. Did we miss anything? What were your favorite parts? Leave a comment below!